Can you predict what your life will be like 30 years from now? 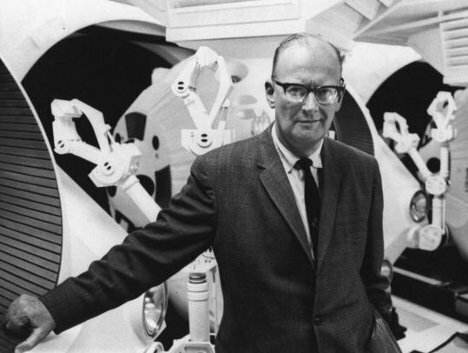 Most of us can’t even imagine how things will change in that much time, but Arthur C. Clarke was no ordinary human. The famed sci-fi writer and futurist seemed to have an almost supernatural ability to accurately predict the amazing new places technology would take us. In this Australian Broadcasting Company interview from 1974, Clarke hits the nail on the head over and over. He accurately predicts that there will be a computer in every home connected to the rest of the world, and that our social and work lives will revolve around it. He pegs inventions like online banking, online shopping, and even telecommuting. Almost eerily, he was even able to tell the interviewer that people of the 21st century would take their computers for granted like people of the 20th century took the telephone for granted. Too bad he didn’t offer up any stock tips. See more in Vintage Videos or under Vintage & Retro. April, 2012.